In 2001, directly after the United States went into Afghanistan, there was a nasty ground fight where the first US casualty happened. Killed was Mike Spann, a CIA agent and former Marine Captain. In an area known as Mazar i Sharif, several hundred Taliban prisoners were rounded up and sequestered in Qali i Jangi. Unknown the the US forces, a pink house held a stash of weapons and Mike Spann, along with others were interrogating the prisoners. Suddenly, an ambush took place, killing Spann but one person did not look at all like the other prisoners and that was John Walker Lindh. Anyway, Lindh was born in California and after capture was convicted to 20 years in prison. During his prison stay, with the help of his father and especially his grandmother, he gained citizenship from Ireland in 2013. The plan is upon his release, he will live in Ireland, that is IF the country does accept him. That is still unknown at the point. Ireland may not provide Lindh with a passport on the grounds of being a threat to national security. How did Lindh even consider Islam and this jihad adventure? Well it began when he watched the movie Malcolm X. He was so inspired, he converted to Islam at age 17, dropped out of school and headed to Yemen to learn Arabic, all with his parents blessings. 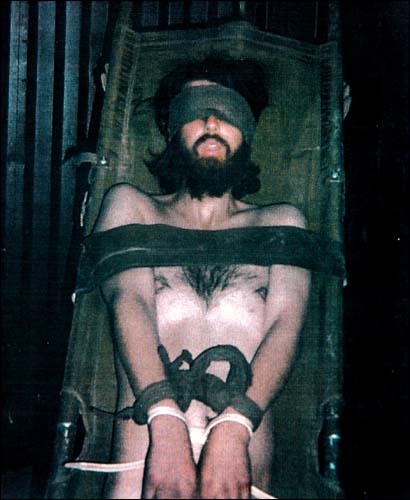 In prison in Terre Haute, Indiana, Lindh was detained under special administrative measures, which has more restrictions that other inmates. It also in 2013 that Lindh filed a lawsuit against the Bureau of Prisons for the right to practice Islam prayer in a communal setting. This is part of the Islamic doctrine, and Lindh won his case. Lindh has refused to denounce his beliefs of Islam and too refuses to condemn militancy. He has even gone so far as to advocate for Islamic State. Lindh’s father continues to maintain his pride in his son saying that he wants to continue to help the oppressed and that if he remains in the United States after his release in May, he will be the constant victim of threats and hostilities. Posted in al Qaida al Nusra Boko Haram, Citizens Duty, Department of Defense, DOJ, DC and inside the Beltway, ISIS ISIL Islamic State Caliphate, The Denise Simon Experience, Trump Administration.